Floodwaters endanger lives and ruin cherished possessions. When a flood occurs, the first priority is to get to safety. When it’s safe to return to your home, contact a water damage restoration company near the Hamptons. These professionals can take care of the water damage for you, including handling mold remediation. Once your house is back in order, it’s a good idea to consider waterproofing the basement against future floods. When you first return to your home, you should focus on salvaging the most important items first. These will typically include documents such as birth certificates, marriage certificates, and family photographs. If there are too many paper items to clean up quickly, place these items in a sealed plastic bag and lay them flat in a freezer. You may need to take them to a friend’s house that still has electricity. Very old photographs, however, should not be frozen. Instead, dry these right away with blotting material and air drying . Window screens are often helpful for drying paper items. The tiny holes allow better air circulation to the undersides of the documents. To save books, stand them on their ends and fan the pages open. If possible, place blotting material intermittently between the pages and covers. It’s often possible to save clothing affected by water damage. Wear gloves to protect yourself from infectious diseases carried by the floodwaters. Take your clothing outside and rinse off the mud with clean water, if available. Or, shake out the clothing and hang it on a laundry line to air dry. This will prevent mold growth if you can’t launder all of the clothing right away. When you are able to launder clothing, you should use clean, hot water, heavy-duty detergent, and a disinfectant. It might not be possible to save household textiles, such as upholstered sofas and chairs, especially if you cannot deal with these items right away. If you do try to save these items, the first step is to take them outside to air dry in the sun. Later, a water damage restoration company can assess the full extent of the damage. The sooner you call for mold removal near Long Island , the sooner you can go back to enjoying the indoor air quality in your home. You can’t get the ball rolling on black mold removal if you don’t know it’s there, so knowing what to look for is part of the process. Mold needs moisture in order to survive, and leaky pipes can lead to a problem. You might also smell or see mold as you walk around your home, or you could even be suffering from symptoms of exposure already. Here’s a look at some of the surprising signs of mold in your home. Mold only needs a few simple elements in order to grow, and moisture is one of them. If you are having trouble controlling the level of moisture in your home, you may be more susceptible to a mold problem. This is particularly important to consider if you have recently experienced a plumbing leak. Even the smallest leak can waste a great deal of water over time, especially if it continues to go unnoticed. 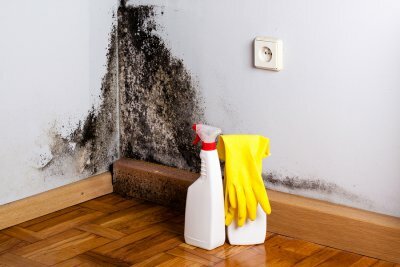 This will give your mold problem time to grow before you even realize there is an issue. Take care of leaks early on to avoid this type of problem. If you think you smell mold but you don’t see anything, this doesn’t mean your nose is tricking you. You probably do have a mold problem in your house if you smell a musty odor like mildew or mold, whether you can actually see it or not. Some people do see visible signs of mold but don’t realize what they’re seeing, since mold can look similar to dust or dirt. If you think you see or smell mold, call your professional. When you’re already suffering from the symptoms of mold exposure, you probably have a long-standing mold problem in your house. Symptoms range, but they often include respiratory issues like coughing and sneezing. If you suddenly have a problem with the indoor air quality in your home, it could be mold. People don’t always associate fires with water damage and mold removal in the Hamptons, but these elements can very well play a role once the fire department has come and extinguished the fire. If you want to avoid these problems altogether, you should be as safe as you can when cooking. Watch this video clip for a few cooking safety tips to prevent kitchen fires. If you have recently suffered water damage in the Hamptons , then you may soon need professional mold removal. Mold growth, from even a little bit of water damage, can cause significant damage to your house and your health. 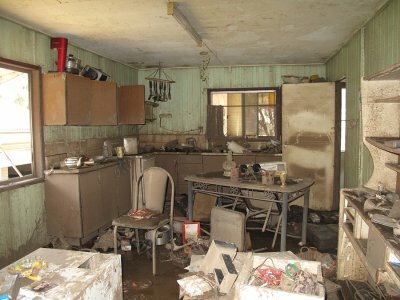 Let’s take a closer look at the answers to some common questions about water damage. 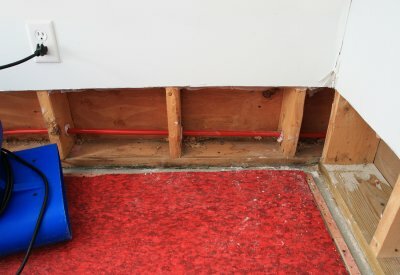 Can I wait to address water damage? 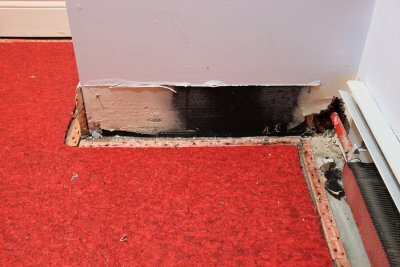 Water damage should be addressed as soon as possible. 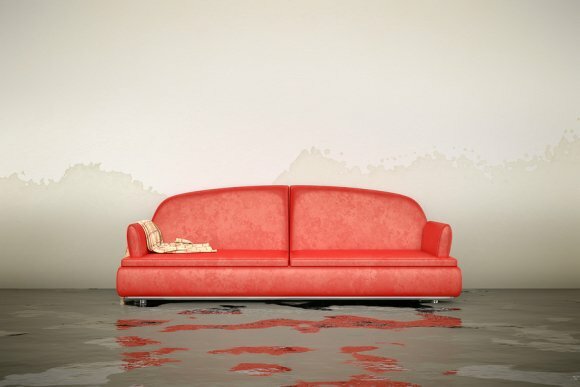 If you wait to call a water damage restoration company, then you risk more damage to your home and possessions. The chances of salvaging any materials lowers when you wait hours, days, or weeks to address waterlogged items. You will also increase your chances of developing a health issue from possible contaminants in the water. Chemicals, viruses, and mold spores can all cause health concerns following water damage. How much damage can come from a little water? If you have an inch of water pooling under your kitchen sink or spreading across your carpet, then you are at risk for serious damages. A little water may not seem like a big concern, but mold can easily grow following a minor leak or flood. Mold growth can cause damage to your home and your family’s health. If you notice signs of mold—such as a musty smell, increased allergy symptoms, or mold spores—then call for professional mold removal. However, addressing water damage from the start can prevent the spread of mold. What can professional restorers do after water damage? A restoration professional will assess the level of damage with moisture-detecting equipment. He will remove all damaged or compromised materials, such as flooring, drywall, linens, and insulation. Many of these materials may be unsalvageable, but your restoration professional will work hard to clear up the water damage. He will then pump out and remove as much water as possible before setting up huge fans to dry the affected areas. During the drying phase, the restorer will inspect for mold growth and other contaminants in your home. Basements are prone to flooding, and when water damage does occur, it can lead to mold, mildew, and other serious health risks for your family. 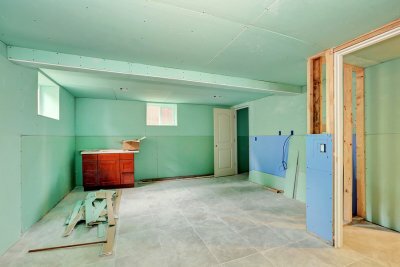 Fortunately, there are many options for basement waterproofing in the Hamptons that can help you reduce the risk of flood damage. Watch this video to learn about some of the options you have for basement waterproofing. A variety of sump pumps can be used to remove water from the basement, while leak monitoring devices can be attached to your appliances so you know about leaks before they cause water damage. If flooding does occur, call for water damage restoration as soon as possible to minimize the damage and ensure that mold is thoroughly removed. In some parts of the country, damp and musty basements are a common issue. Luckily, waterproofing this area of your home offers you an excellent way to prevent mold growth and water damage. There are a few signs that can indicate you’re in need of basement waterproofing near the Hamptons. When you head down to your basement, do you notice any musty, mold, or mildew odors? If so, then this means that you should consider basement waterproofing services. Also, standing water, patches of mold, dark or chalky areas on the concrete, and bulges or curves in your basement’s walls can all indicate that there is too much moisture in the area. Basement waterproofing involves the installation of a system that encourages water to drain away from your basement to help keep it clean and dry. During the process, the team may also install insulation, a sump pump, and a dehumidifier. These steps help keep your basement dry so that you can use the room for storage or as an additional living space. After a flood or a fire, it’s common for home and business owners to seek out water damage restoration, mold removal, and basement waterproofing services. However, it’s not unusual for belongings like documents to go overlooked until it is too late to save these important items. If you’re in need of water damage restoration near the Hamptons, then look no further than Island Catastrophe Environmental Restoration. In addition to general restoration services, the experienced team at Island Catastrophe Environmental Restoration specializes in document recovery, as well. If your home or office contains essential papers and records, then addressing their recovery should be considered essential following a flood or fire. 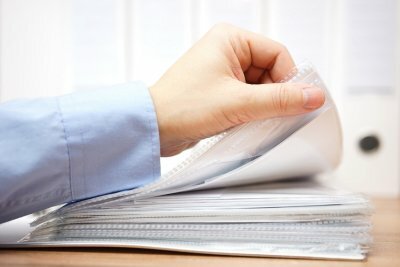 To attain the highest possible level of restoration for your documents, you should begin the recovery process as soon as possible. If you reach out to our specially trained professionals within 48 hours of the catastrophe, they will be better able to minimize the damage to your important papers. For more information about our document recovery services, please visit the Island Catastrophe Environmental Restoration website. Why Is Your Basement Flooding? Flooding can lead to several issues for your home, such as water damage, mold growth, and pest infestations. If you have water in your basement, then the first step in resolving this problem is to identify the source. If you’re wondering why you’re dealing with basement floods near the Hamptons , then continue reading to learn about several possible causes. One of the most common sources of a flooded basement is excessive rainfall. Even if your basement benefits from a waterproofing system, getting heavy rains in a short period can be enough to overwhelm these safeguards and allow water to flood into your basement. When this happens, it’s often because the rainwater saturates the ground surrounding your foundation and then pushes into the basement through any cracks that are present. For this reason, maintaining your foundation and hiring a basement waterproofing service can be essential for protecting your home from flooding. In suburban areas, many residences have a sewer line placed lower than the basement floor that carries away dirty water from sinks, showers, and toilets. If this sewer line becomes clogged or damaged and starts to leak water into the ground, the moisture can eventually rise above the basement’s floor level and seep into the space. Proper plumbing maintenance and waterproofing your basement can help prevent this type of flooding. The layout of your property can affect how efficiently rainwater can drain away from your home. To help ensure that water moves away from the foundation rather than toward it, the land surrounding your house should slope downward in all directions in what’s called a grade. If the grading around your house is too shallow or does not fully surround the building, this can cause rainfall to pool around the structure and lead to a flooded basement. To determine if your property has good drainage, walk around your home’s exterior the next time that it rains. If you see puddles pooling around your home, then poor drainage could be the reason that your basement is flooding.